The spring housing market is about to get into full swing. And while agents may be fully aware of the state of this year’s emerging housing market, your clients may not be. It’s your job to get your sellers up to speed with what the 2014 home-selling season will bring. 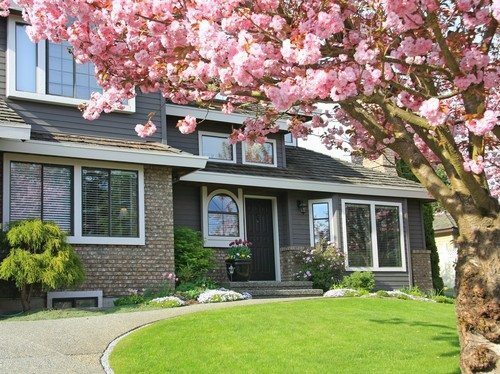 Here are six market insights to share with your current or prospective clients that will give them a head start when it comes to a successful sale this spring! The winter home-selling season was crippled by the polar vortex, especially in the East and Northeast, so there’s pent-up demand from buyers who’ve been waiting for better weather to brave the house hunt. Mortgage rates are still at historic lows, so buyers ARE poised to buy and ready to hit the streets. Sixty percent of all homes in 2014 will be bought and sold between May and August. Sellers who put their home on the market at the beginning of the selling season will up their chances of snagging a winning offer before buyers turn their attention back to school starting in September. Many metros in the country have seen double-digit price increases in the past year. But this last quarter, prices started to slow nationally — and pricing is a critical component to getting a house sold. With this fluctuating market, sellers need to look at comps of similar homes in their area and rely on the expertise of their agent. Plus, remember, recency matters: Sellers should look back no more than 60 days and depend on their agent to help them set the price appropriately. The sale price of homes that sold recently paints a much better picture of what to expect than the price of homes that sold six months ago (or of homes that have yet to sell). Bidding wars were common in the summer of 2013, but we’re hearing less about them right now. Sellers can’t bank on fielding two or three offers at once. There is, however, a good chance that sellers will still get the one that will be a win/win for both the homeowners and the buyer. Trying to get a jump on the competition? Right now we’re on the cusp of prime selling and buying season, and sellers who list soon will have less competition than those who put their house on the market in May or June, when more homes will flood the market. Since it’s still early, every home can have its “moment in the spotlight” more than it will when inventory increases — and the buyers who are braving the cold to house shop are clearly motivated. In this new mobile era, a huge percentage of buyers use smartphones to start their home search online. And that percentage is expected to rise this year as more buyers take advantage of easy access to the wealth of information online. Get in on this trend by making sure the home pops on those computer screens. Great homes with mediocre-quality photos will be quickly discarded and ultimately get fewer showings. Sellers should heed the advice of their agent and take the time to beef up their online listing so the quality of the home jumps off the screen and gets buyers’ attention.